Kuala Lumpur: The investigation into the disappearance of Malaysia Airlines Flight 370 has shifted to include anyone on board with a navigation or aircraft background in response to evidence that the plane was deliberately diverted from its route and, after communication was lost, navigated by someone with deep experience at the controls. "In view of this latest development, the Malaysian authorities have refocused their investigation into the crew and passengers on board," said Prime Minister Najib Razak of Malaysia at a news conference Saturday. This new phase of the investigation has brought new scrutiny to the lives of two people who certainly had those skills: the pilot and first officer, Capt. 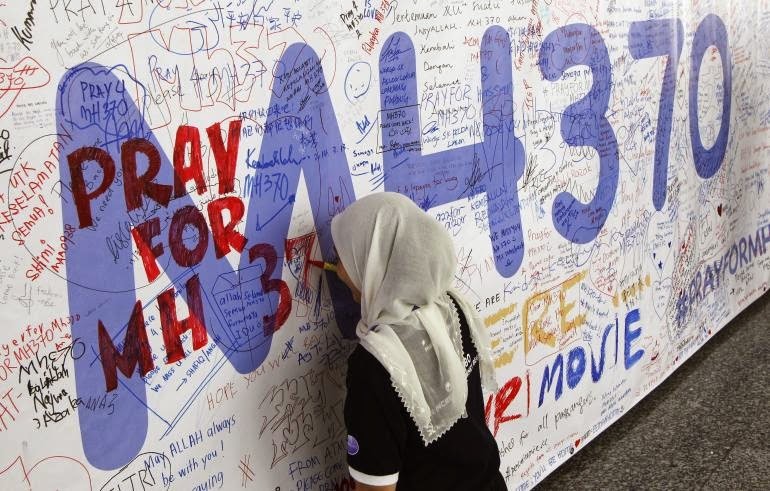 Zaharie Ahmad Shah, 53, and Fariq Abdul Hamid, 27, both Malaysian citizens - although neither has been declared a suspect in the plane's disappearance. Investigators are also apparently combing the passenger list for anyone else with similar skills who might have rerouted the plane, willfully or under coercion. After the news conference by Najib, investigators searched Zaharie's house for the first time since the plane disappeared, according to news reports here. A spokeswoman for the Royal Malaysian Police refused to comment on the accounts. The authorities may also be looking at an aviation engineer who was among the passengers. The New Straits Times, a newspaper published in Malaysia, interviewed a man who said that his son, an aircraft engineer, had been on the flight en route to China to work on Malaysia Airlines planes. The son, Mohd Khairul Amri Selamat, was identified on the passenger manifest as a 29-year-old Malaysian. A company spokeswoman said early Sunday that the passenger was an employee of a private-jet firm, not Malaysia Airlines. Friends and relatives of the pilot and first officer have jumped to their defense, deploring any suggestion that they might have had a role in the plane's disappearance and vouching for their integrity. "It's very difficult for me to accept the line of thought that he was leaning toward terrorism," Peter Chong, a friend of Zaharie, said in an interview Saturday. "Knowing him and knowing his character, I find it very difficult to accept." Chong described Zaharie as "very friendly, very jovial, loves people, enjoys being with people, doesn't get angry very easily." Zaharie, who joined the airline in 1981, has logged more than 18,300 hours of flight time, according to his employer. He was so passionate about flying, Chong said, that he built a flight simulator at his home in a gated complex in a suburb west of Kuala Lumpur, the capital. A Facebook page apparently created by Zaharie in 2012 shows photos of the simulator and of a small remote aircraft that reportedly belonged to him. "Motion!" he apparently wrote in a posting on a Web forum for motion simulator aficionados. "Looking for buddies to share this passion." On Friday, the chief executive of Malaysia Airlines, Ahmad Jauhari Yahya, was asked about reports that one of the pilots kept a flight simulator at home. "As far as pilots are concerned, everyone is actually free to do their own hobby," he replied. "Quite a few pilots do have flight simulators at home." Other photos on Facebook show Zaharie cooking; he was reportedly a passionate chef. He also curated a YouTube channel of video guides in which he affably and patiently demonstrated home maintenance tasks, including repairing the ice maker on a refrigerator and tuning air-conditioners to save money. "He truly has a good heart," wrote the author of a tribute page created in the pilot's honour last week. Less is publicly known about Fariq, who was also in the cockpit when the flight took off on March 8. According to Malaysia Airlines, he joined the company in 2007 and has logged more than 2,700 hours of flight time. A tribute page set up for Flight 370's crew quotes his grandmother calling him "a good son, obedient, respect the elders and a pious man." Neighbors said that he liked to play futsal, a sport similar to soccer and popular in Southeast Asia, and that he was engaged to be married, according to The Associated Press. But Fariq's track record has come under scrutiny in recent days after a woman, Jonti Roos, claimed that he and another captain had brought her and a friend to ride in the cockpit on a flight from Phuket, Thailand, to Kuala Lumpur in 2011. Roos provided the Australian television program "A Current Affair" with photos of her and a man she identified as Fariq. The two women were in the cockpit from takeoff to landing, Roos said. "Throughout the whole flight they were talking to us," she said in an interview with the program. In his comments to reporters on Saturday, the prime minister explained how the aircraft's communications systems were systematically disabled, perhaps by someone with intimate knowledge of the plane. He said that one system was disabled as the plane flew over the northeast coast of Malaysia, and that a second, a transponder, was disabled a few minutes later. The aircraft then altered course and flew over the Malaysian mainland before turning to the northwest and heading out to the open sea. The actions "are consistent with deliberate action by someone on the plane," Najib said. In addition, military radar data provided by a person familiar with the investigation suggest someone may have piloted the aircraft to as high as 45,000 feet, above the 43,100-foot ceiling for the Boeing 777. A current Boeing 777-200 pilot for an Asian-based airline said the move could have been intended to depressurize the cabin and render the passengers and crew unconscious, preventing them from alerting people on the ground with their cellphones. "Incapacitate them so as to carry on your plan uninterrupted," the pilot said.